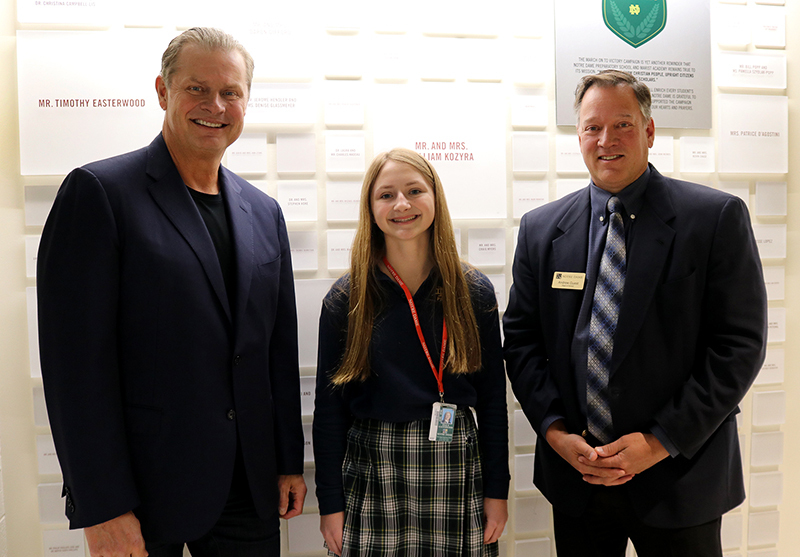 Tim Easterwood, a businessman and entrepreneur, has donated $1 million to Notre Dame Preparatory School and Marist Academy in Pontiac with the intent to prepare students for careers in science and technology and in the wake of the school’s renovations to science facilities. “I’m pleased to invest in the school’s increasing footprint in STEM education and confident that current and future students of Notre Dame Prep will be even more prepared and successful in their chosen careers because of this state-of-the-art building,” says Easterwood. The school opened the 26,000-square-foot wing in August that includes new and renovated science laboratories, classrooms, a robotics lab, and two fine arts studios. The board of trustees voted to rename the it the Timothy J. Easterwood Science, Art, and Technology Wing. A naming ceremony will be held at 3 p.m. on Tuesday, May 7. Easterwood co-founded and serves as co-CEO of BonusDrive LLC, a digital marketing services provider. He previously co-founded and was the Chief Executive Officer of Voluntary Benefit Solutions, LLC, and the American Residential Group, LLC. He received a bachelor’s degree from Northern Michigan University and a master’s degree from the University of Detroit Mercy. Notre Dame Preparatory School and Marist Academy is a private, Catholic coeducational school.